To accompany our impossible triangle afghan we have an impossible square represented on a cushion. It is the square that is impossible, not the cushion! It is a 2-D representation of a 3-D object that could not be made in real life. At first glance it may appear perfectly normal but if you follow any of the sides around you should see that they could never meet up. 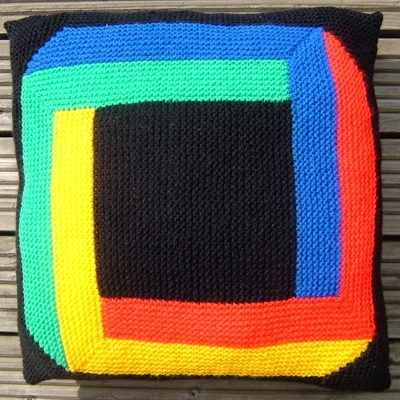 The cushion version of Spinning a Yarn is approximately 16” (40 cm) wide. 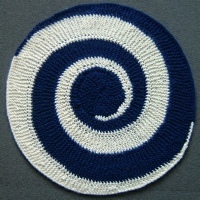 I knitted it to use up the yarn I had left over from the afghan. 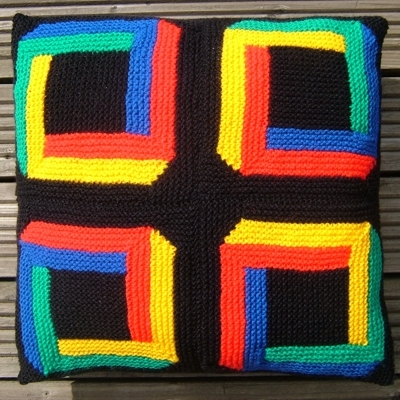 There are no specific instructions for the cushion but it can be made using the rules given for varying the size of the afghan. 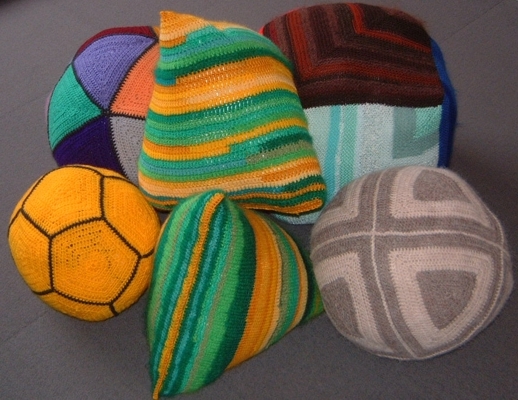 The five Platonic Solids in knit and crochet. These are definitely not ‘solid’ in the usual sense of the word. They are soft and squashy like cushions but rather unconventional shapes for cushions. You might want to think of them as toys or novelty items for the home. 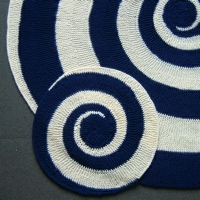 Any knitted or crocheted shape will be distorted when stuffed. All the shapes try to make themselves as round as possible, tending towards spheres. This is how the pattern acquired its name.